I vividly remember the first time I went to pick out a rug for our first apartment. Being relatively innocent when it came to home decor, I thought to myself, “I think I’ll go look at rugs today…” and cheerfully went to Target after work. I found the rug selection and slowly wandered down the aisle — until I froze in my steps at the prices, colors, and commitment that awaited me. Suddenly the joy of homemaking was gone and all that remained was the sweaty pressure to not make the wrong financial choice. I think when it comes to pillows and lamps and artwork, it doesn’t feel as difficult to choose because the price tags are usually less intimidating. But rugs are a bit more pricey and carry more responsibility for the room’s success... or failure. These days, I have a system of questions that work for me when it comes to picking out rugs that help me enjoy the process and final result. 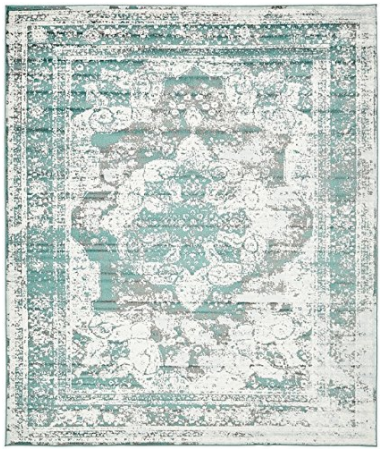 Plus, I’ll share a few of my favorite rugs from Amazon.com in case you are looking for a few good choices too! So remember my first rug shopping experience? Yeah, I seriously think I was expecting rugs to cost like $40 or something ridiculous. I had no idea that I should start saving for a rug like yesterday. I feel like 90% of people buy their rugs two sizes too small. I have never regretted buying a larger rug, but it’s such a wrestle during the buying process. Because let’s face it, the price of a 5×7 rug is so much nicer than the 8×10 price. Yet, if you are buying a rug for a living room or bedroom with standard sized couches and beds — my strong recommendation is getting (at least) an 8×10 rug. I know. I know. It’s hard. It feels like SO MUCH MONEY for just a piece of wool on the floor. But trust me. It’s such a game changer for spaces. For my family, we live on a pretty tight budget so I haven’t spent more than $200 on a 8×10 rug. Now, to some of you that might seem crazy (on both extremes) but I hunt and hunt and hunt for good prices on good rugs. What Kind Of Statement Do You Want To Make? Save yourself a headache and decide this BEFORE you go shopping. Look at your room and decide what the “feature” piece will be (or is) and then choose a rug that supports this look. For some rooms, the feature piece will be the RUG. For other rooms, it’s the furniture or something else. In my living room, it’s the curtains. I have navy and white striped curtains that I just love — so when I went looking for a rug, I wanted it to complement those bold curtains instead of compete with it. For my living room, I went with this rug from Amazon in an 8×10 size and it fit the room well. Okay, so now that the process of buying a rug doesn’t scare me, I love looking for rugs and designing spaces around them. Right now, these rugs have me drooling all over my keyboard. 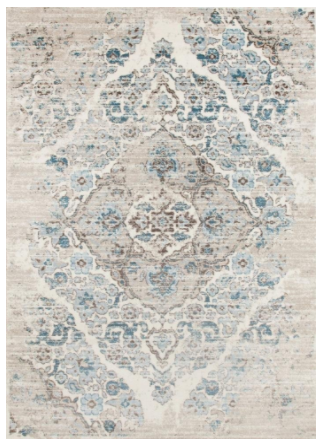 I recently purchased this rug for a client and it is soft, plush, and cozy for her space. This style of rug is simple and quiet, while adding a lot of warmth and texture to any space. This pattern makes me so happy. It would work with lots of different designs and color schemes. I've literally purchased five of these for different clients, plus it's the rug I have in my dining room right now too. It works with so much! The colors are subtle and perfect. Well friends, that’s all for now. I enjoyed “shopping” with you guys for a few minutes and hope this information is helpful!